Like mentioned I got to go with the mobile unit today and here’s my report as promised. My thank you’s to Sarah Hansen for providing me with the information below. The Fountain of life has two purposes. 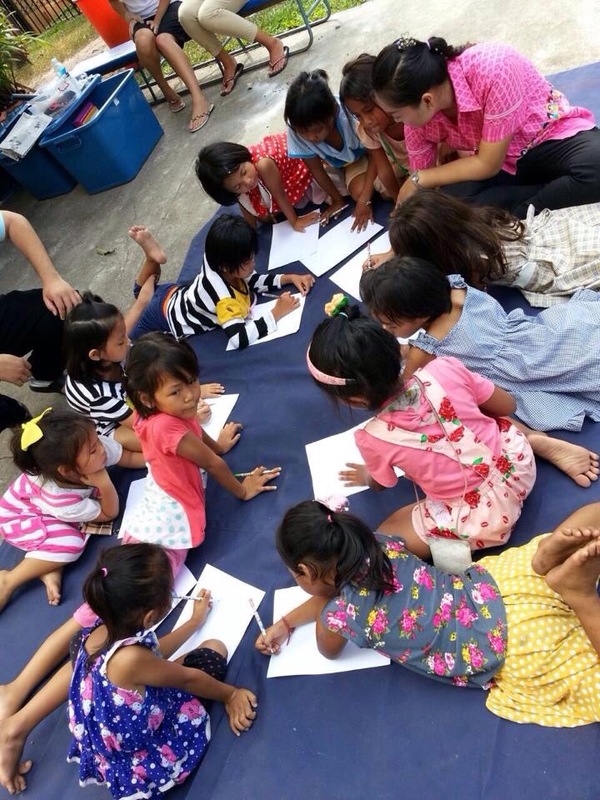 One is to be a day centre for street children who either live on the street or the centre itself, or an education centre for older women who have worked on the street and which teaches them skills that can help them find work other places. 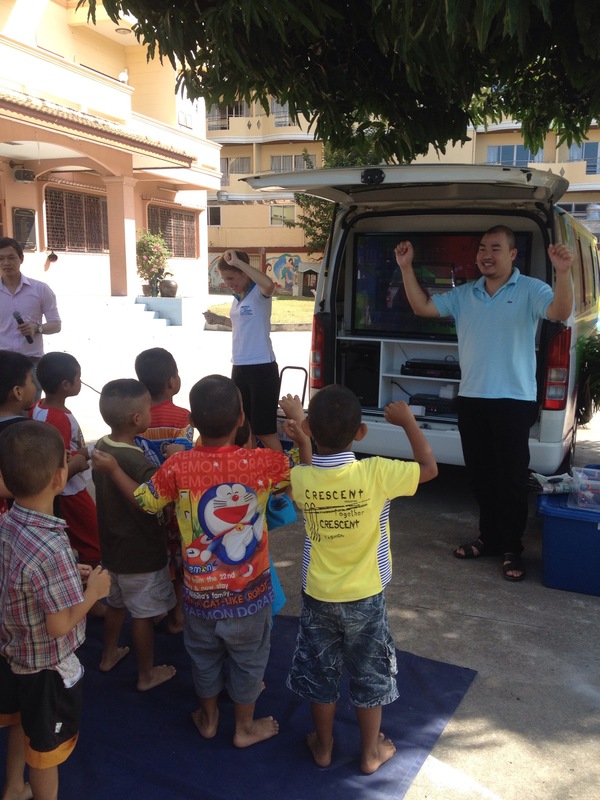 The mobile unit is a van equipped with educational tools that the mobile unit team uses when visiting children in different places – from the slums to the nicer centres. Today we were going to teach the children street safety. First they were put into a team work activity so they would learn the mindset of working together to solve problems. Then they were brainstorming to put down on a paper what they don’t like. It’s moment like these which shows you how much more children understand than what adults give them credit for. The most typical responses were cigarettes, drugs, beer/alcohol and marihuana. These were 6-7 years old children. 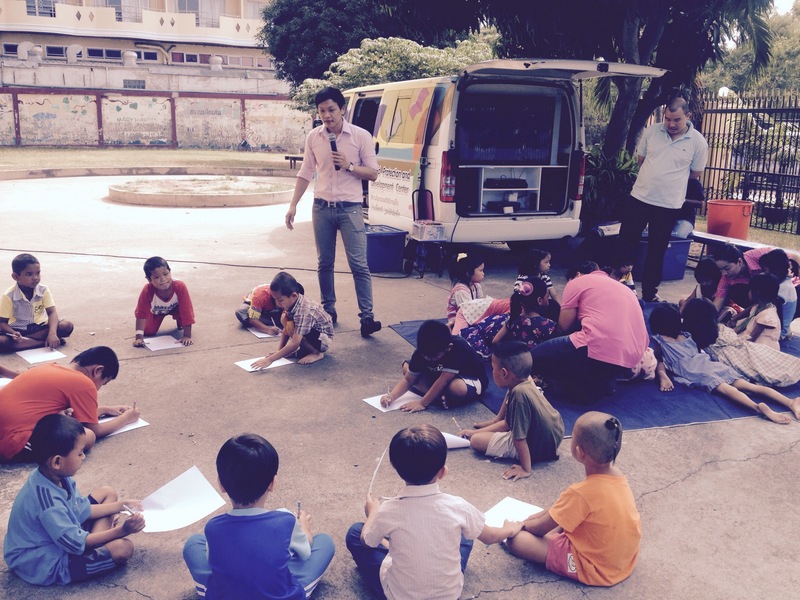 After, some children were picked to the front to help demonstrate for the others how those items drawn was “mâi dee” (not good) and how to say “mâi” (no) or “mâi ou” (don’t want) if Item is offered to them. Street safety lessons is incredible important for all the children as they learn everything from how to wash their hands properly to what to do if an stranger gives them food…sweets…and after ask them to come to their hotel with them where they’ll be asked to do stuff. Looking at these children today you know you catch them in a good moment. Their clothes are (semi) clean and their smiles bright; there’s laughter. But their feet and scars on their arms and legs speaks another story. …and the street children goes through a lot. Kohn Sarah told me more stories of children she has met whose wounds were hollow and rotten inside; of much puss and infestation and very little action taken to disinfect these wounds; their support system don’t know how to and this is where the mobile unit comes in as an important support to the children’s support. I want more than ever to take a couple years to learn Thai properly and come back a second time to help the mobile unit more. As it’s the perfect example for, even support systems needs support so please help if you can! 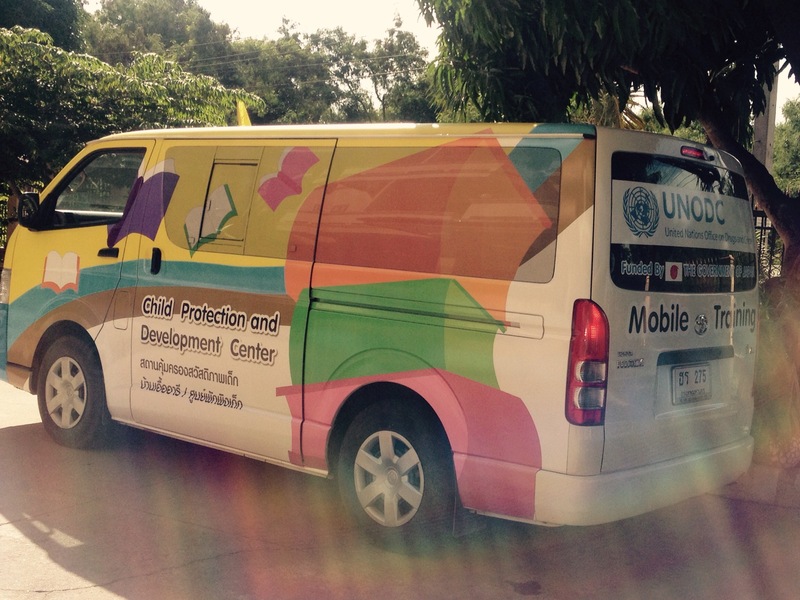 The mobile unit is waiting for permission to drive around in Pattaya in the evening to find street children as they work and save them. This is an incredible huge and important step in what they do!